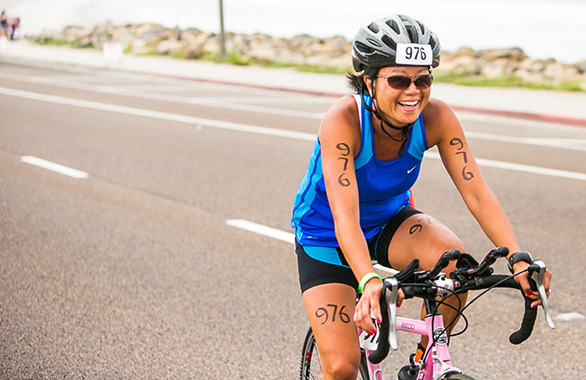 Carlsbad Triathlon ranks in the world’s top 5 longest running triathlons. 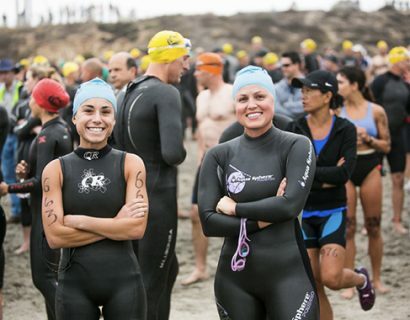 It is a sprint distance race, consisting of a 1K open-water ocean swim, 25K bike and 5K run. 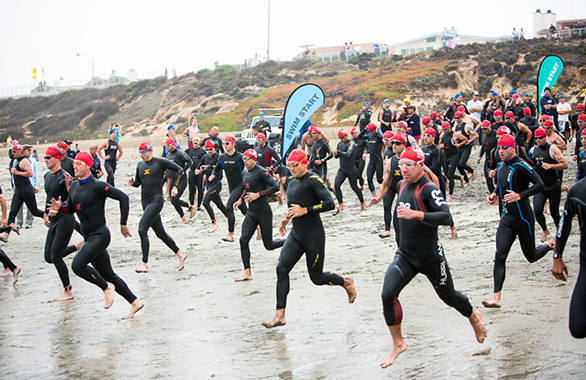 The course begins at Tamarack Surf Beach, and follows the coastline of Carlsbad, past our scenic beaches, lagoons and wildlife preserve. 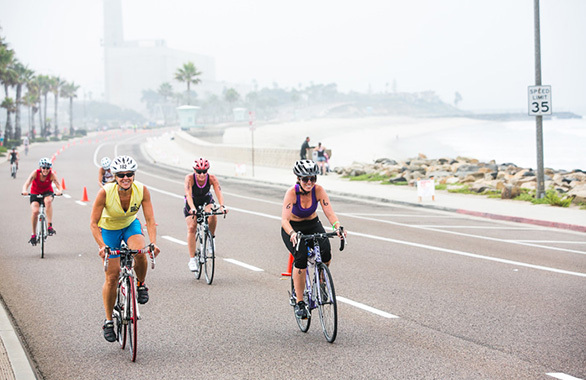 It boasts an ocean swim, a rolling bike course and a smooth run for the finish. This race is for everybody from first-timers to the elites, and their friends and family! 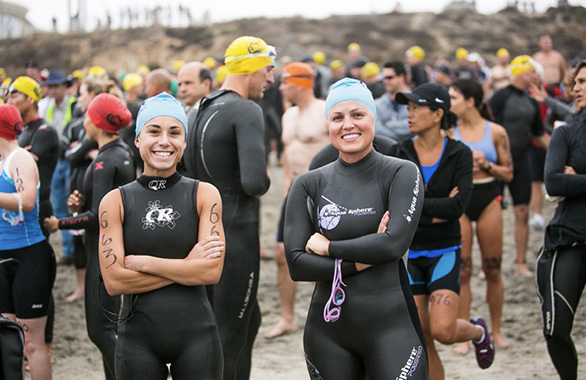 The race begins with a 1K open-water ocean swim, which is well marked with buoys, followed by a 25K bike course and 5K run that takes you along the coastline. The roads are wide and completely closed to traffic—very safe! 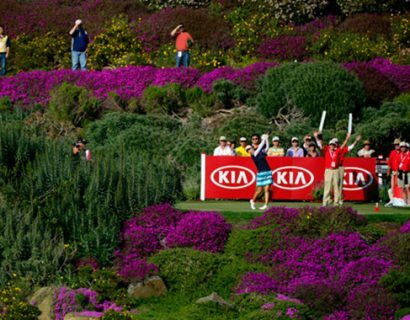 The course is mostly flat with a couple of rolling areas. THERE IS NO RACE DAY REGISTRATION!! There is NO bike check. NOTE: Participants who have not finished the race by 11:15 a.m. will be redirected to the finish line via an alternate route using the sidewalk and will be considered pedestrians. This will be strictly enforced by the Carlsbad Police Department.